Our guinea pig died today, you guys. When she was just a wee thing. Muinea B. 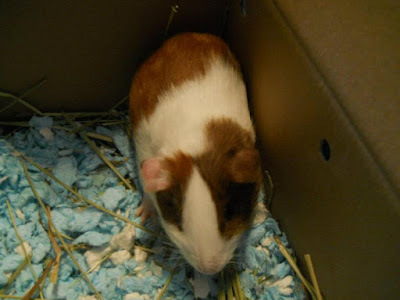 Guinea - you may recall the B stands for Ermahgerd - was five and a half years old. She passed away at 7:45 a.m., having held on just long enough for Precocious Daughter to say goodbye. She wasn't sick, thank goodness. Yesterday she was her peppy, wheeking self. This morning I found her laying on her side, something she never did, and I knew she was dying. I called PDaughter over, and she told Muinea she loved her. Then I watched our darling cavy draw her final breath and cross the Rainbow Bridge. She was the best, Drunkards. Here's an early post about her. 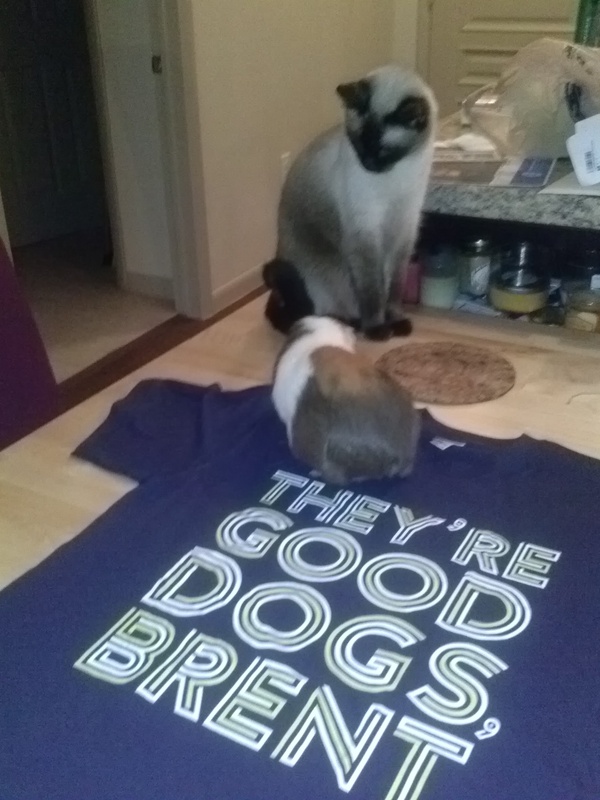 The Siamese kitten is getting extra pets tonight. Here they both are, being good dogs. Give your furry friends - and your non-furry friends - all the love you can. It's never wasted. I did actually remember that the B was for Ermahgerd. And I remember you wanting to get her a suit of armor. She had a good run. I thought all guinea pigs ever did was sit around wheeking until you wrote about popcorning, and that's when I realized they are liquid cute poured into a furry sack. I am very sad but also so glad she was part of your life, and that you shared her with us. I recall the post in which PD wanted a rat. Maybe you could get her a successor. I'll go hug Nero and Juno. Again.